This is gonna be pretty. Welcome to Iceland! 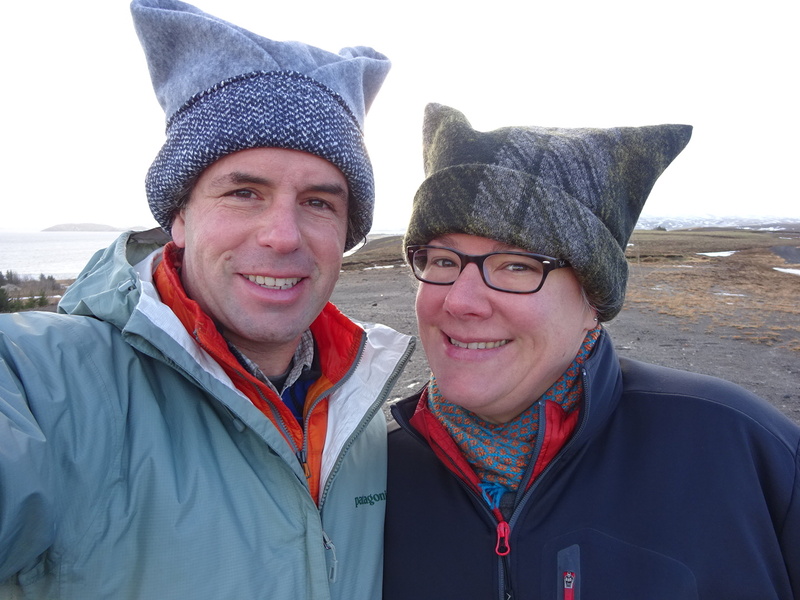 We arrived in Iceland, Country #18, as the grand finale of our big trip around the world. Yes, we visited Boston on our way to Seattle, but this was our last new country… It would not go as planned. We would see a lot of amazing landscapes. Before getting into all that, let’s start with the Icelandic language. I think it’s safe to say it’s incredibly weird sounding. So much so that when you ask for direction the locals will say, “go down to the road that starts with a ‘K’ and then turn left at the road that starts with a ‘J’.” Luckily everyone speaks excellent English. We did what we always do in a new country, we asked, “How do you say ‘hello’ in Icelandic” and the response? “Hello.” Hmmm? Different kinds of beauty everywhere we looked. This is not the view I pictured for Iceland. We have so many good things to say about Iceland. Even though a lot of things didn’t go as planned, it’s incredibly beautiful wherever you look. And Iceland has tourism figured out! I felt the same way when I backpacked in New Zealand 15 years ago. They just know what tourists need and make it incredibly easy to get around which is paying off with tourism growing exponentially — exceeding 1 million visitors last year. I believe it, too, as even in January the place was packed with tourists! Iceland Air offers super friendly and comfortable flights with free layovers of up to one week AND free checked luggage. Imagine that!? Whatta concept. Not only do you get to see Iceland, but it’s a great way to break up the long travel between the US and Europe. Once you arrive, the airport has busses and shuttles waiting to drive you right to your hotel. Seriously. They are timed to when flights arrive and ALWAYS available. Amazing. Once in Reykjavik there are tours galore, gear rental so you don’t have to pack those giant coats or hiking boots you might not need for the rest of your trip, and the friendliest people all ready to help. Bundle up! It’s time to see Iceland. A frozen smile for the freezing cold. Those hats? The ones we made in Stockholm! 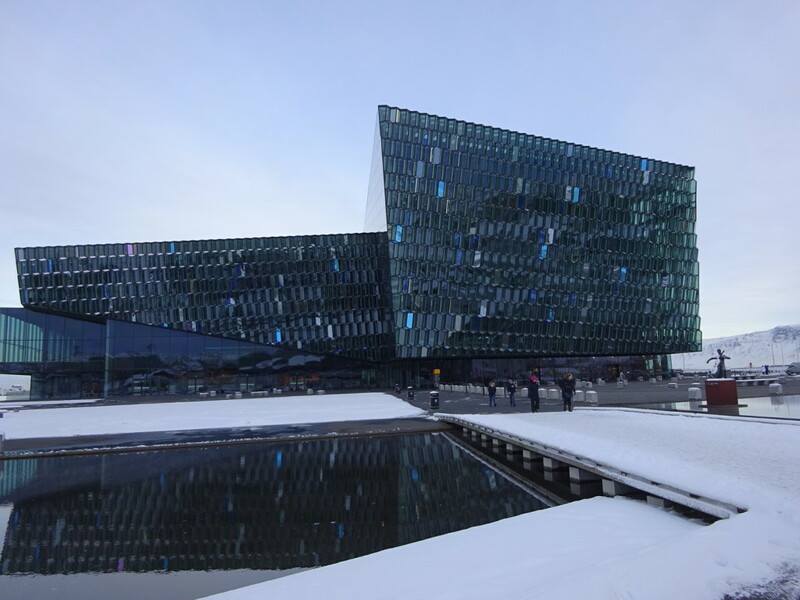 Ah, Reykjavik – the capital of Iceland and where most people live. The place is booming because of all the tourism, but still has quite the small town feel. Everyone was incredibly nice and I was surprised by just how many handmade items were for sale. Iceland, surprisingly, also has quite a fashion scene! Barcelona, look out! The church near our hostel – definitely makes it easy to orient yourself. 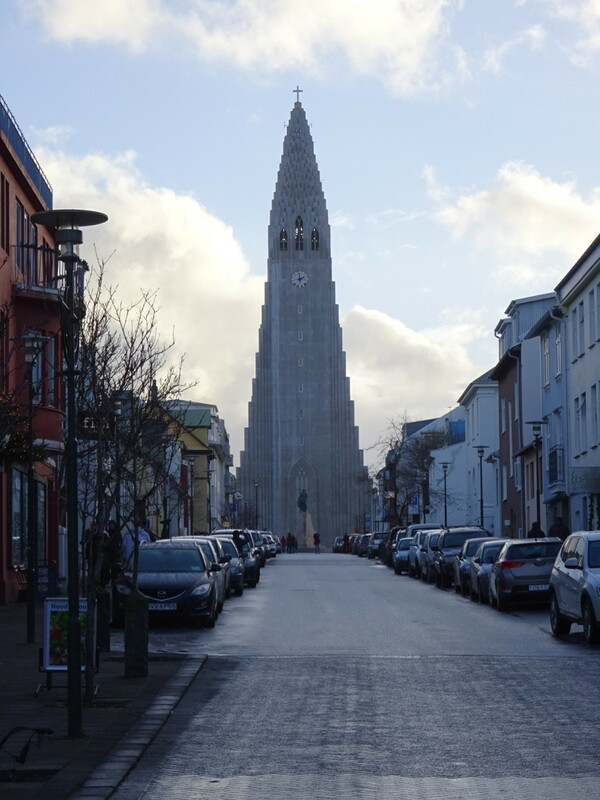 It might not be the Sagrada Familia, but the Hallgrimskirkja church stands out with some really cool architecture. This church is the landmark you use to find everything else in town. It’s either on this side or that side; close to or far from …the church. It has a nice presence in the city, standing at the end of the road, exactly where you think it should be. 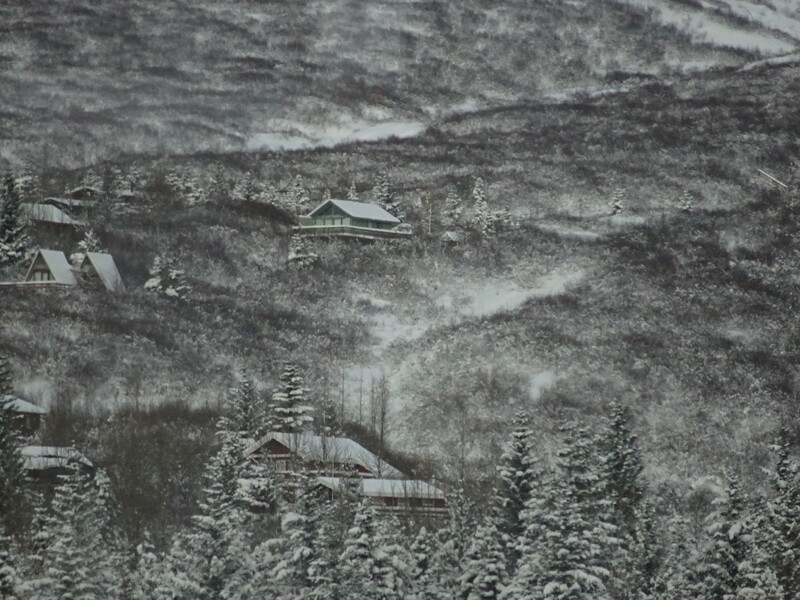 You can also see how neat and tidy everything is before the snows started. Whoops, probably should have given you a spoiler alert there, huh? Well, yes, snows were a-coming! 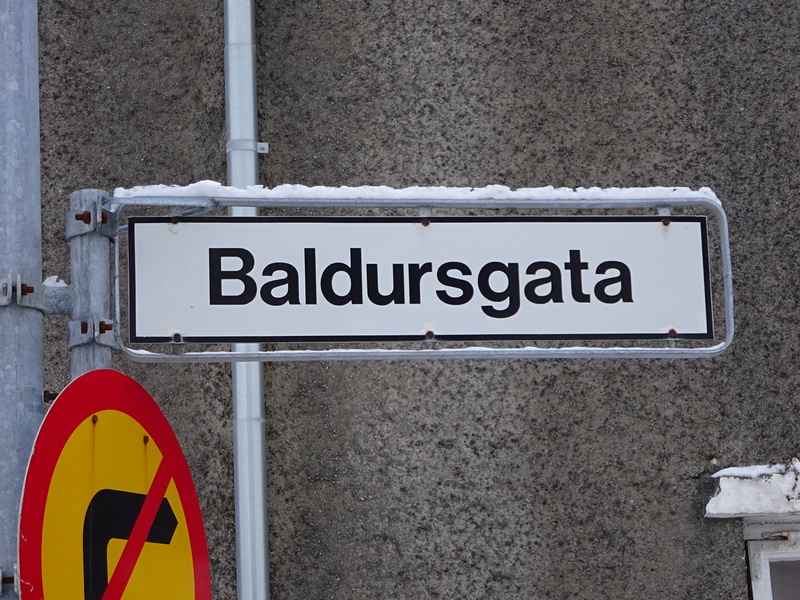 A street in Reykjavik for all you computer gamers who might remember the late ’90’s. 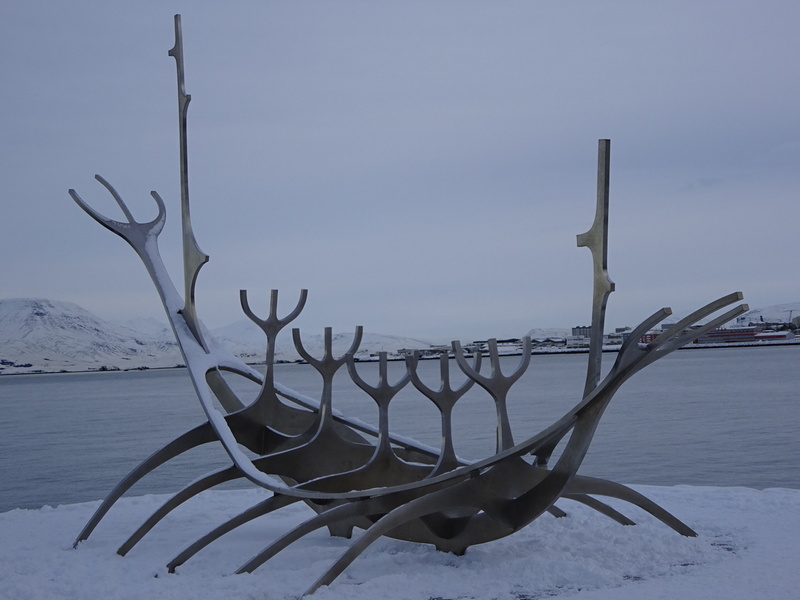 This giant sculpture was inspired by a Viking funereal boat. Raised kind of a hullabaloo in town as Viking funereal boats were always launched in one direction with the setting sun and this sculpture got mounted facing a different direction. The artist said he didn’t mind, though, so there you have it – problem solved. Awesome view. Reminds me of Anchorage a little. Double click to see a big version of the photo. 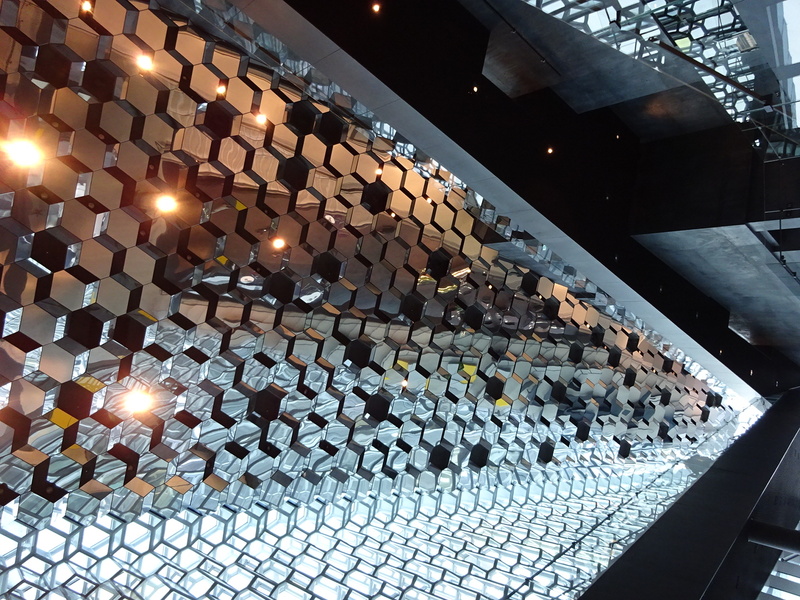 Harpa Concert Hall. 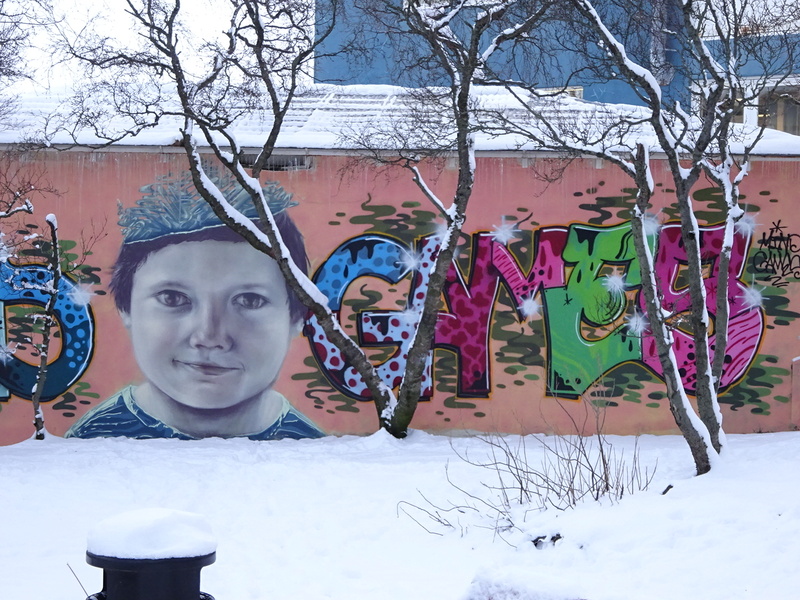 Reykjavik has a very active arts and culture scene which surprised me a bit. The Concert Hall is all set up for tourists (see, they know what they are doing) and locals alike, with tours, shows, two gift shops, a flower shop, cafe and bathrooms. It also boasts some very interesting architecture! Well worth the little walk to it. Checking out the concert hall from the inside. Don’t forget all the amazing street art Aaron showed in his fantastic post. 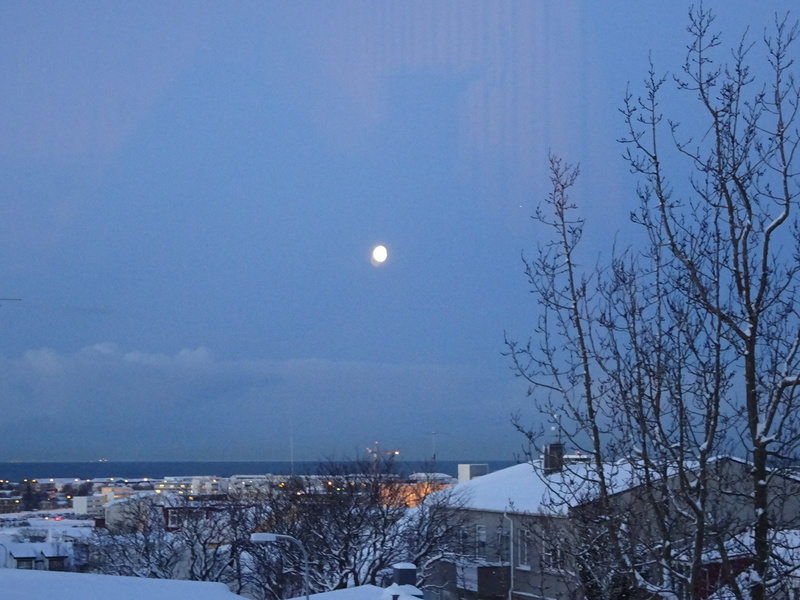 Moonrise in the middle of the day or late in the morning from our hostel room window. The sun rose around 10:00-something and set again by 5:00pm for a total of less than 7 hours of daylight. It sure made for easy sleeping-in in the morning! Iceland was the furthest north we went on our trip. 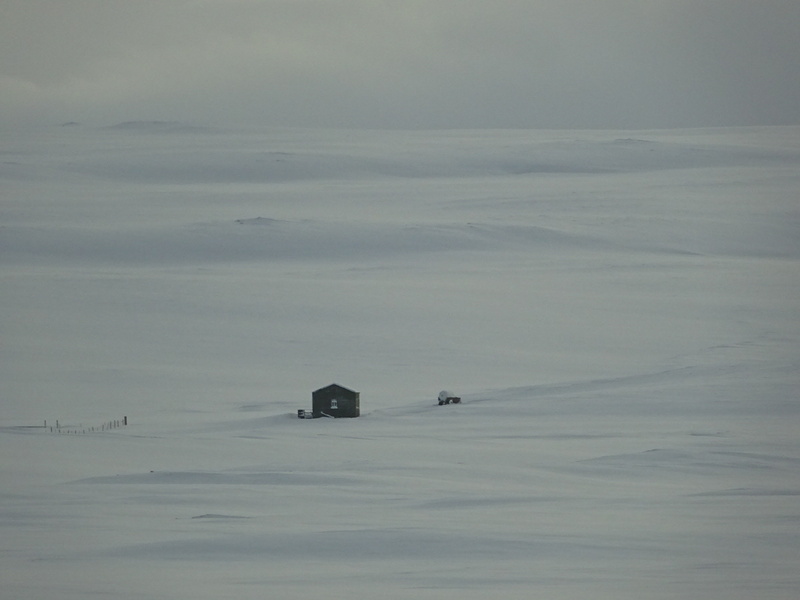 In fact, we were just about as far north in Iceland as we were south in Chile. Such symmetry! Being in the north, Iceland is known for its Auroras. We have both seen the Auroras in Alaska, but we were eager to see them again even more dramatically since we were so far north. Here we encounter the first thing that didn’t go quite as we hoped. 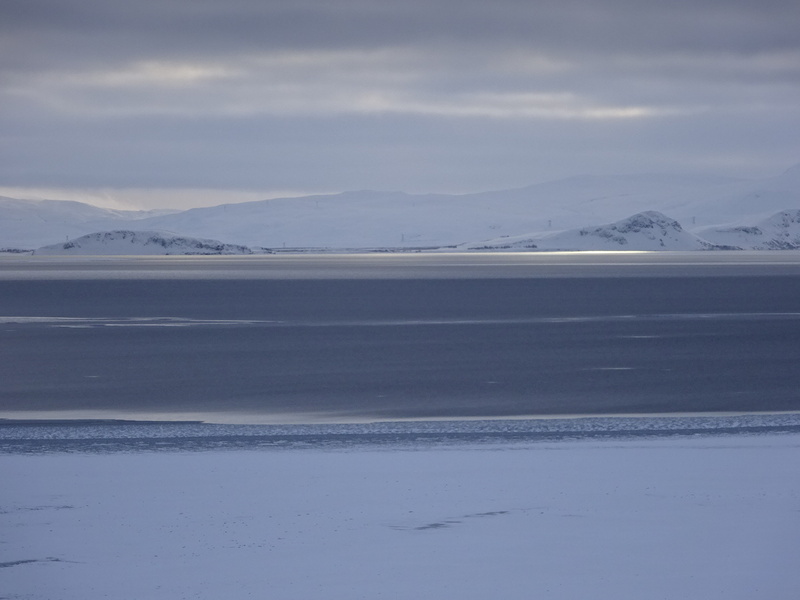 You guessed it – the clouds were ever-present, so no auroras during our one week stay. Sigh. Luckily we had done our homework and picked Gateway To Iceland for our planned Northern Lights tour because, (1) they don’t go out unless there’s a good chance to see the auroras, (2) you get one free re-do if you don’t see them the first time, and (3) you don’t pay until you go out. That meant that, unlike some other folks in our hostel, we didn’t spend four hours driving around freezing at night with nothing to see. 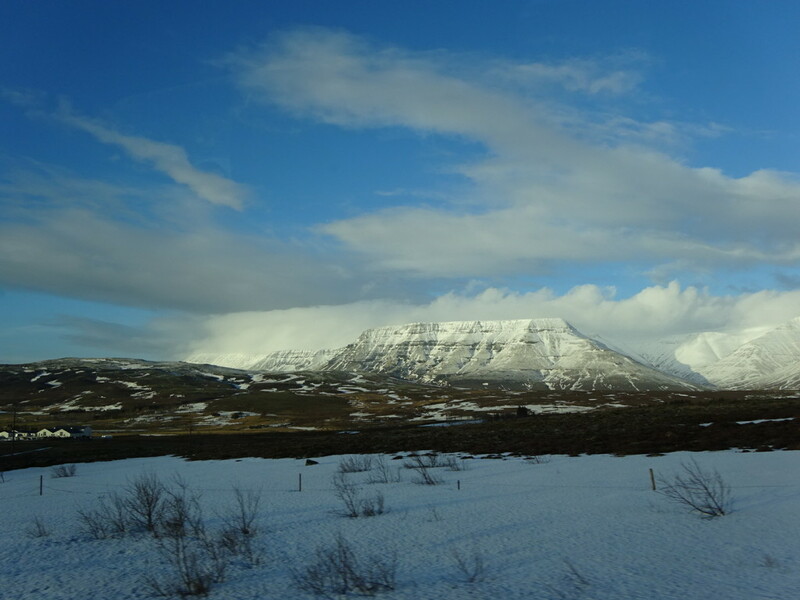 So even though we never stepped foot in a Gateway to Iceland tour van, we recommend them! We think we’re pretty lucky we didn’t have to sit in the cold and pay for nothing. 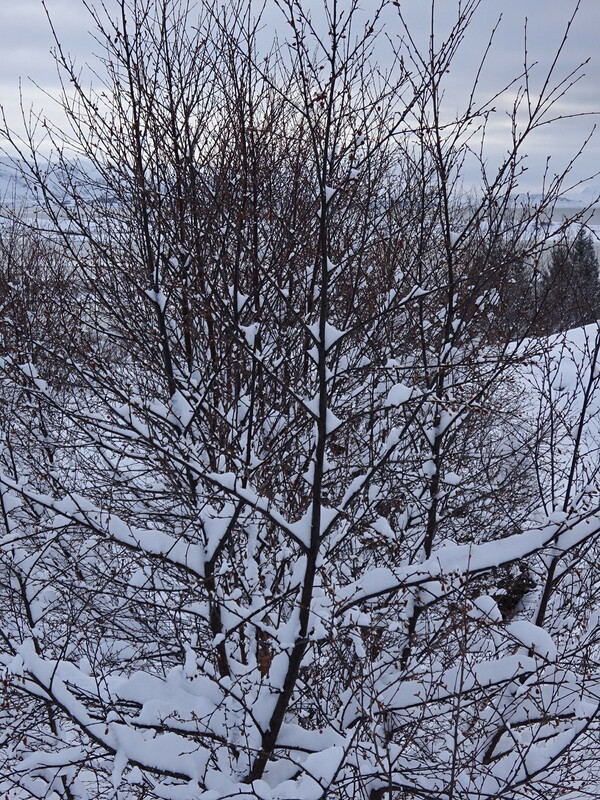 Sorry we can’t offer some gorgeous aurora photos for you, but how about a fine, snowy shot? I just like this picture so I’m putting it riiiiiiight here. Okay — so this is the one thing that pretty much went as we expected! Better than expected, in fact. 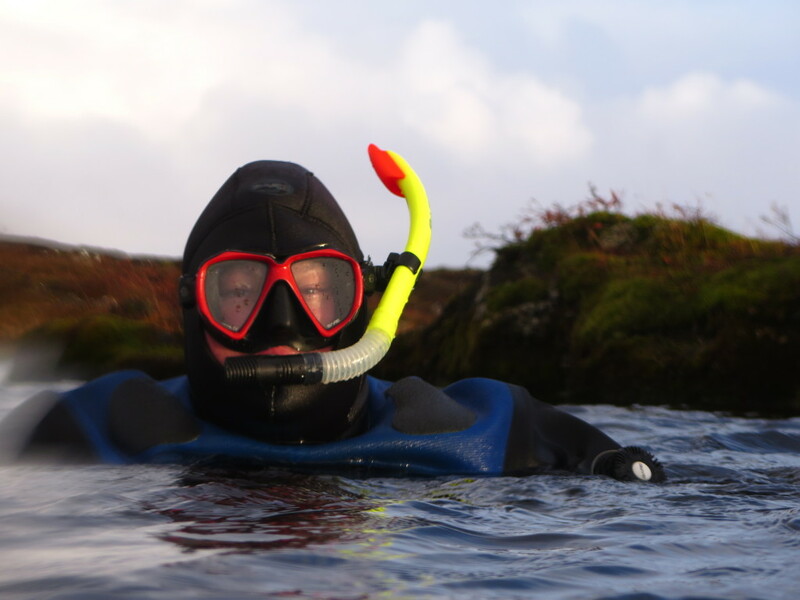 It was so good we’re devoting our entire next post to it, but here’s the teaser….yes, you can snorkel in Iceland! In January! More to come, more to come!! Wait ’till we tell ya about this one!!!! Stay tuned for our epic winter snorkeling post! Until then, you can start planning your Iceland getaway – it’ll definitely be worth it! What an experience you both shared I’m putting Iceland on my bucket list! We’re glad you’re adding to the bucket list! The layover is SO worth it. We have much more to share, so stay tuned! Someone once said that Greenland and Iceland should exchange names. Iceland has been on my list ever since I learned about the mid-Atlantic ridge running straight through it (or vice versa). Glad you stopped by and then posted photos to help keep it on my list. Hope you are enjoying all this lovely El Niño rain and wind. By all means, we are here to keep things on The List! So many beautiful places. Wait until you see the snorkeling!